Key West is such a wonderful place to be on vacation. And no… you do not need to be a heavy drinker to spend time there. With plenty of great sights and sounds, an innumerable amount of attractions to visit, and so many things to do in Key West, it is no wonder the island has become a vacation hot spot among families, friends, and couples looking for a tropical getaway, fun in the sun, or a relaxing reprieve from the busy world. But with so much going on in Key West, it is hard to know what to see, where to visit, and which attractions, events, and locales are local favorites. If your vacation is not complete without some local flair, read on. These are four things to do in Key West are a little off the beaten path, and a whole lot of fun. For the nature buff at heart, this is the perfect sightseeing trip. The Mote Marine Laboratory has been working for the past five decades to advance sea science and replenish the depleting number of conch in the oceans. One of the most informational things to do in Key West, visitors to the laboratory get to see up close sciences battle to retain homeostasis in the Earth’s oceans. One of the biggest surprises, the tour’s price, it’s free — a great family outing. The listing of notable writers who have lived in Key West sounds like a reading of a Who’s Who of modern literature. Ernest Hemingway, Tennessee Williams, and Robert Frost all spent time on the island’s sandy shores and sought inspiration from the sea air. Since 1994, every April, the Key West Robert Frost Poetry Festival renders the island electric with verse. So of the best and brightest in the poetry world flock to the island for 5 days of readings, workshops, and awards. It is one of the most enlightening things to do in Key West. When you can list Hemingway and Jimmy Buffet as clientele, you know you’re doing something right. 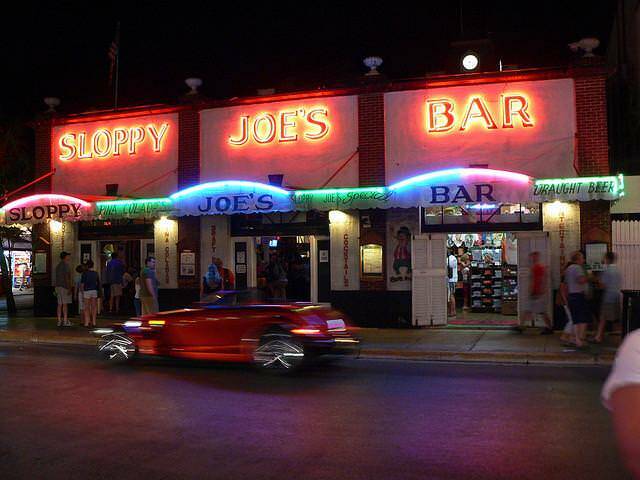 Since opening its doors on December 5, 1933 (the day prohibition was repealed), Sloppy Joe’s has been serving up suds in a relaxing, inviting environment. After opening, the bar changed its name twice and moved once before finally catching its stride. It has since become a favorite among locals and visitors, both of whom flock to the bar nightly. Buffet and Hemingway have both come to Sloppy Joe’s in their respective searches for inspiration. This is one of the most relaxing things to do in Key West. One of the newer things to do in Key West is Butterfly & Nature Conservatory. The conservatory is home to over 50 different species of exotic butterfly, along with tropical birds and diverse plant life. The conservatory is kept at 85 degrees, which makes it one of the hottest things to do in Key West. It is a perfect daytime outing for families with small children, those who love nature, or anyone who wants to see something new. ← STD Testing – How To? – Where? – Privacy and Cost?